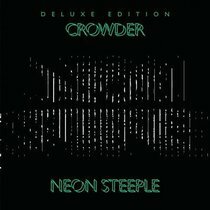 After taking a year off, David Crowder is back and ready to release the all new album Neon Steeple on May 27. Simply known as Crowder, he describes the new music as "folktronica," or a mixture of acoustic sounds and electronic beats. Crowder will also be hitting road with a headlining tour kicking off in the Spring. About "Neon Steeple Deluxe CD"